A look back and tribute to the 737-300 following Southwest's retirement of the plane recently. So many memories including those amazing backward facing seats! United Untied – Episode III: Return of the ExCons? Should United bring back the Continental name, what plagues this troubled airline and how can they solve their numerous issues? Ultra low cost carriers have changed the airfare game, but the Big Four are fighting back and it isn't always pretty for the frequent traveler. The final part of our series on the history of the once great Braniff International Airlines. The bitter end and why the airline fell so hard. The rise, fall and history of Braniff International, one of the world's most iconic and remembered airlines. A walk through the modern history of airline seats from the plush 36" pitch of years gone by to today's slim line seats and non-existent legroom. Editorial: POLARIS – United makes a new Business Case. With United's announcement of their new POLARIS premium class service, they now move towards a focus on the customer experience which hasn't existed with them for quite some time. A detailed editorial about Alaska's $2.6 billion takeover of Virgin America. 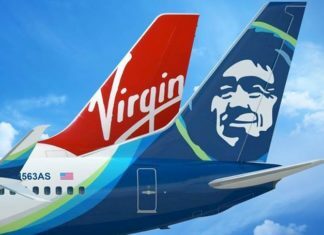 What happens as these two very different airlines work to combine into one and why did Alaska pay so much? Island Miler on Winner Winner Arby’s Dinner – My $6 Flight to Hawaii is Booked!!! sandy on Winner Winner Arby’s Dinner – My $6 Flight to Hawaii is Booked!! !